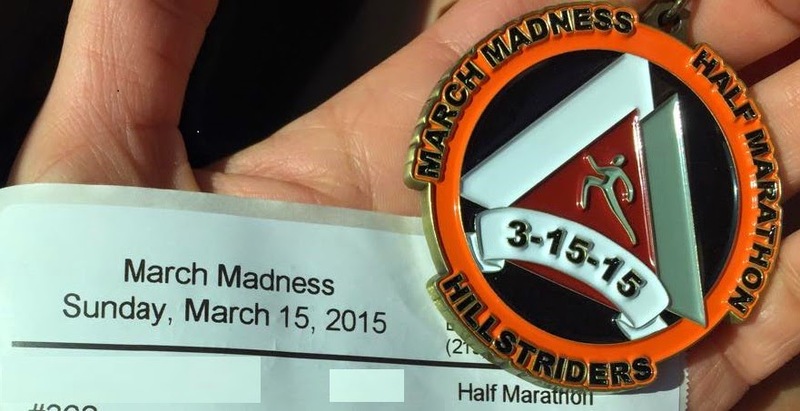 So I had to pass up the chance to run the March Madness Half Marathon on Sunday. Boris had a 102 fever and was up all night so I didn't get much sleep. Combine that with the fact that while I did the majority of the training (more than 80% of the mileage), my running form was still not effortless, it would have been a sucky race for me. The only part I'm even remotely saddened about is that this year the weather was absolutely perfect and I would have been able to run in shorts. This happens every few years but is obviously unpredictable. My hope was that my training for and running of this half marathon would provide me with the necessary pseudo training for the Shamrock Shuffle in a couple of Sundays. I can still run 5 miles but not fast or without stopping. I guess we'll see. Boris and Natasha (aka Moose and Squirrel if you haven't already caught on) are waking up at 3, 4 or 5 am and acting like it is time to be awake for the day. This is not working well for us obviously. I don't know what to do about it. Sleep training is a little harder for twins because even if one is sleeping the other can wake them up quickly. On the nights that my mom is over it is both a blessing and a curse. Blessing because she deals with them. Curse because 1) NG still wakes up and 2) my mom talks to them and holds them too long instead of putting them back in their cribs so they have no incentive to go back to sleep. Sometimes she either doesn't get to them quickly enough or doesn't soothe the one that is crying before the second kid wakes up. It isn't all her fault but it doesn't help that my mom is the type of person who wears out her welcome rather quickly. She questions and scrutinizes a lot of our decisions even dumb ones like how much to bundle the kids up on a day that is between warm and cold. A few Thursdays ago I went to an event hosted by the man who got me the job at the No-Name Software Company. There were two others from my No-Name Software days, and a third person from my stint at Big Bucks Law Firm 2.0. We caught up and talked about the events that caused us to leave No-Name Software Company. On the positive side, it vindicates me that BM was forced out even though he has a much better attitude than I ever did at that place. On the negative side, it seems like a lot of our "classmates" keep in touch without including me. Still, each of those persons has been able to find a new job by reaching out to someone we know. I have done it alone. Thursday morning of that same week, I apparently made a loud noise while in the middle of a dream. In the dream I was walking with Katness and Monica and I stepped through some snow and ice. What should have been a small step into some melted snow turned into a deep chasm and I was sinking very quickly. The water apparently was so cold that I didn't have an buoyancy. I sank to the very bottom very quickly.